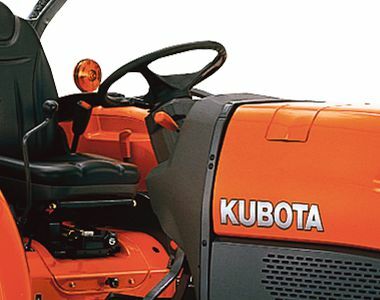 Kubota’s M8540DH utility tractor offers powerful performance with a 84HP, 4-cylinder turbo charged, E-CDIS engine. 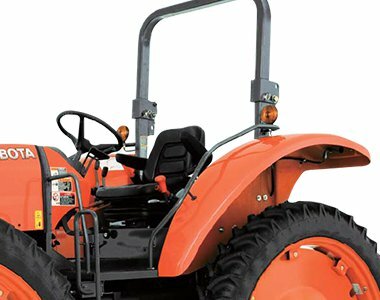 Designed for heavy duty work, this ROPS model is equipped with hydraulic shuttle, Creep Speed and Autohitch for more productive and practical operation. 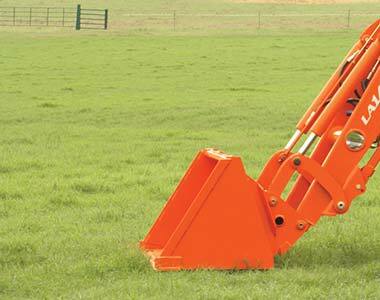 Available with a variety of attachments. 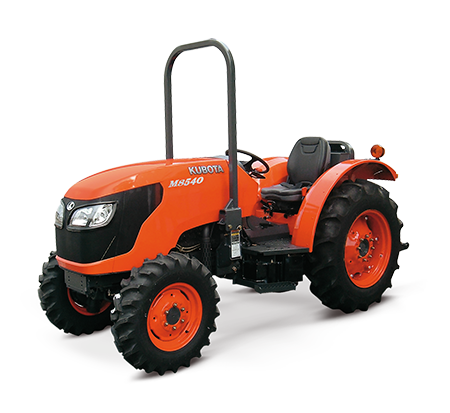 For heavy-duty work such as ploughing, hay work and heavy trailer applications, the M8540 is equipped with an F18/R18 transmission. This transmission features six speeds of the main shift and high/ low/creep ranges.